Some of the natural formations are truly hexagonal. And even though there were hundreds of people at the site it was easy enough to get to an area that was clear of others. it was pouring rain and hailing. The weather didn't know what it was doing. Naturally occurring and naturally falling. 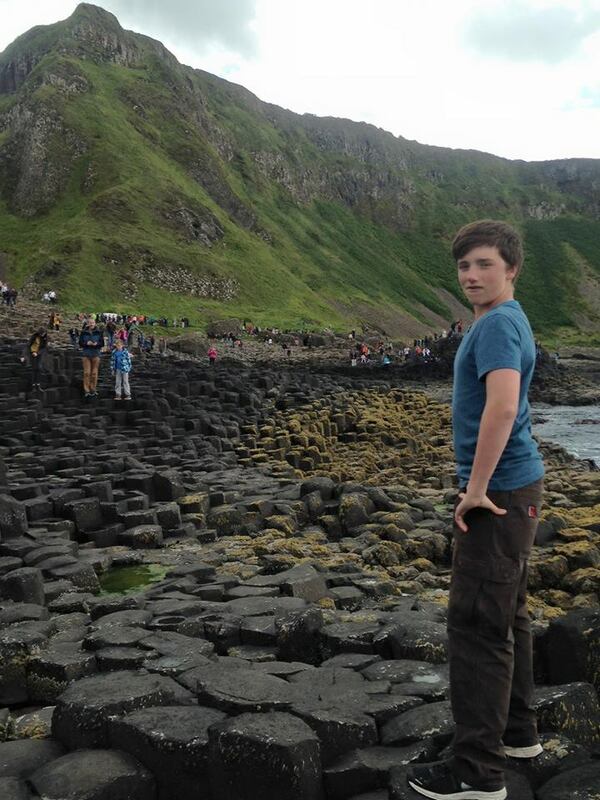 Giant's Causeway was one of the highlights of our R&R for me. I'd actually not planned on going even though N. Ireland isn't that big because our house was practically on the east coast and GC was on the west. Scheduled spontaneity kicked in and off we went. Not only did we have some of the best food on the trip at the nearby "The Nook," but Giant's Causeway is something to behold. 36... maybe 37... weekends left in Amman.